The New Moon of Aries has now arrived April 7th, 2016 which occurred at 4:24 AM Pacific, 7:24 AM Eastern, and 11:24 GMT. New beginnings are possible as with each new moon, but how is this moon different for the earth and each of us individually? The past three months of this year has taken into a deeper part of our existence within the earth as March proved to be the Lion roaring inside of us just waiting to get out of the trenches of despairs. As students of mastery, we have had to go into a space where we have not wanted to travel before. With each passing moon, eclipse, and acceleration of the light coming into the planet, it pushes us to know ourselves on a deeper level. The Full Moon in March gave us the gift of resurrecting our elements that do not serve the higher energies. It helped us to move into a higher level of acceptance while moving our vibrations to match the emotional and mental elements that we are desiring to have in our consciousness. These energies have been intense and challenging for each soul upon this earth. As we stand within this New Moon of Aries, it allows us to take action of who we have become. Sometimes this can be scary or challenging, but it is the pathway we have chosen that many would not dare to tread upon. It represents always stepping into the newness of ourselves as we heal the old wounds that need to be addressed within our Etheric Body. This part of us will always be with us in body or in spirit so it is important to continually work with those energies that will support the healthy function of the physical, emotional and mental bodies to work in unison of the Higher Self. We all know we are multi-dimensional from many lifetimes or experiences on the Inner Plane Level of existence. Presently we are feeling these timelines in our consciousness and physical existence. They can assist us or create turmoil in our thoughts and feelings. It is up to us how we handle ourselves through the process of the changes we are experiencing. The first trimester of this year from January through March took us into spaces that have helped to heal the old wounds. It is a continual journey of going within, learning the lesson, doing the spiritual tool to assist the healing, and then stabilizing ourselves. This moon is our Stabilization Period. As we step into these energies of Aries, we can now act accordingly within the Laws of the Universe. We have learned from our previous moments, we have cried, we have been angry, we have healed in so many ways. This is what Resurrection represents. The Festival of the Christ has allowed us to see things in a different way even if it is just a very small moment of reflection. Ascension Mastery gives us the opportunity to see how we have done so now we can act accordingly to our Divine Plan within our Higher Consciousness to become manifested within our physical reality. Take some moments and reflect the changes you have gone through, how did you get through it, and what were the lessons you learned from the previous month. Then, it is time to fully embrace this moment of Action upon how you feel. Allow this month to bring forth the New Beginning that you desire to achieve in your life. Allow your foundation of who you want to be to go deeper within you. Confirm what you have achieved and then act accordingly. Ironically, Walking Terra Christa has just finished their monthly program on the Law of Action with Master Thoth and Master Paul the Venetian. We have learned that in order to have the Right Action we must allow the higher vibration to be our guide and continually strive to hold that frequency within us as what we think, feel, and create is based on those elements that we are experiencing within our consciousness. This moon is a blessing to each of us. It is a time to fully embrace who we are becoming and feel the Divine Love that we are. It is time to step out of the box, rejoice in the change that we are, and show that to the world. This new moon cycle is very powerful for manifestation as we work with the energies of our Higher Self to become our reality within the Physical Self. Take time to embrace the New You, because as you do so, you are then accepting the element that change is something you embrace and then it becomes You in all ways. The Universe will act accordingly to return what you share around you. Note: If you are interested in learning to understand more about raising your vibration to better incorporate the frequencies of the Law of Action, For more details, please see our page THE LAW OF ACTION: APPLYING VIBRATIONAL MOVEMENT. 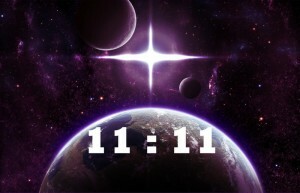 Blessings and Love from the Unified Whole Command of the 144th Dimension of Reality representing Oneness. 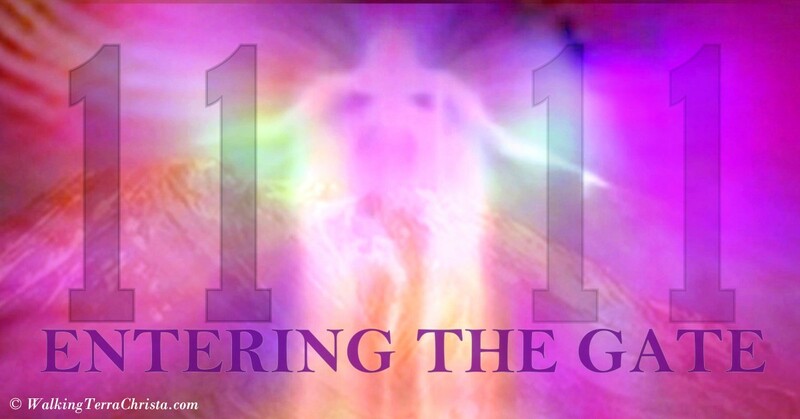 We are The Great Divine Director, Master Thoth, and Master Einstein here to serve each of you in this moment. The challenges and accelerations of 2015 have truly helped to make this year a movement towards Harmony upon GAIA. We stand in the middle of the year and would like to reflect back on the immense changes that have occurred through the vibrational levels. Each person is going to infuse it within them as best as they can depending upon where they reside within their own cosmic consciousness. The beginning of the year was very challenging for many of you as the Crystalline Ray became more accessible within the planet as each of you had to hold this energy within you very deeply. We know it has been quite a ride for many of you. Then the Equinox came along with the Wesak Festivals. These energies took each person into a deeper part of themselves even have they had not realized what was occurring. Debris has been flying out of so many souls so that the deep healing can truly be acquired. The shifting of those energies has accelerated GAIA’s essence with the work that each Initiate took upon themselves to do within their own essence. Within those energies great change has resulted within each of you and humanity, as a whole. You may not see the overall effects of the movement, but it is happening on much deeper levels than you realize. As we moved into the Solstice energies, the vibrational changes became softer with the entrance-way of the Solar Angels becoming grounded within the planet. We saw great changes through this process during the five-day period of accelerations occurring. This energy helped to be accessed by every human being upon this planet to feel the pure essence of Divine Light that they truly have been from the beginning of time. Many did not feel it consciously but it assisted them in their daily world, to make necessary changes with more ease and grace than they had done previously. It is not being seen with the physical eye, but perceived within the essence of each individual. It is like a cloud of pure light flowing within and around each individual to help them make better choices that are aligned with their higher purpose. 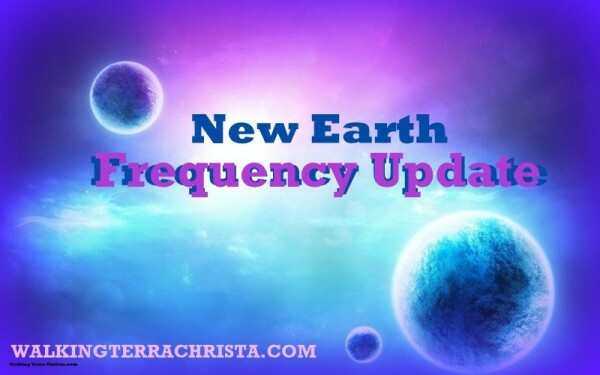 This energy is also assisting the lower frequencies in having such a hold on the planet as the Divine Essence that is being centered upon the earth is flowing in and out of every living organism, even as we speak. It continues to this day. In order to really feel the full effects of these magnificent celestial changes physically each person must be responsible to allow these energies to enter their consciousness and be very aware of the changes they are going through. Even when the road seems rough and filled with uncertainty, the Solar Angels are assisting each of you to go deeper, know more about yourself on a spiritual level, and to find the balance of your own Divine Self to be fully manifested within your foundation upon this earth. This is truly a great opportunity to walk through doorways of change that you may have not been able to see previously. 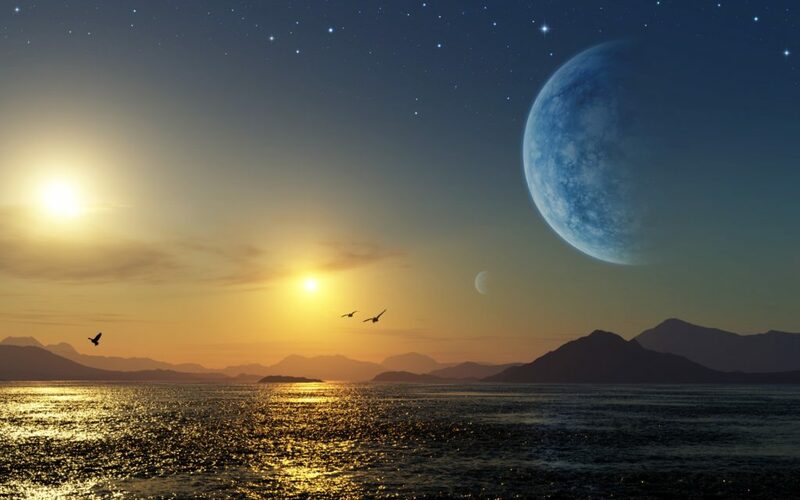 The Celestial Energies are helping each person on the planet to become more softer, more loving, and more accepting of the challenges that they are going through presently. There is a sense of peace than can be revealed if you allow yourself to fully tap into this frequency. Take time to sit and reflect on these energies especially in a beautiful place of nature. Notice the differences that are occurring within each of you with your thoughts and feelings of what you are experiencing. Allow the movement of the angels within the planet to be fully grounded with who you are. You are the chosen ones that have decided to come back upon this earth and do it once again. Do not allow the old self to guide you in the opposite direction of the Self Love that your Solar Angel is asking you to receive. Be very receptive to the change that is occurring for you. Within this process though there can be moments of non-believe, not understanding what you are experiencing, and wanting to just stop the whole process. You can become angry with yourself, and tired of looking within when you just want to fly away. We totally understand this reality. It is part of your programming coming upon this Planet. But as angels, you vowed to stand true to your beginning essence while not allowing the old self to control you, to keep you stuck, and to feel the pain of the past. This journey is not for the faint-hearted and that is why you have chosen to walk with others during this pathway of Light. Be strong within yourself and do not let anything deter away from your own essence of awakening. This is a very deep process that is happening for each of you. You may not realize the magnificence of what is occurring within your own Being due to other elements that you are being faced with presently. It is a huge challenge and an even bigger awakening upon this planet. Each of you are being asked to step forward, do the dirty cleanup work that is necessary so that you can fully accept the Divine Being that you truly are. Aren’t you tired of making choices based on your physical mind and not your Higher Mind? IT IS TIME TO ALLOW THIS ESSENCE BE YOU. The more individuals that are able to grasp these energies, the easier your transition will be through the activation of the Solar Angel into the Higher Self, and then eventually activating your Golden Solar Angel. All of these gifts are awaiting for you. Are you ready to accept them? SO THIS TIME FROM THE SOLSTICE INTO THE NEXT EQUINOX IS VERY IMPERATIVE FOR EACH OF YOU. You must find time to create balance within your life so that you are not all one thing or the other. You must remove your addictive behavior from any particle that is not good for you. It does not have to be about drugs or alcohol; it is about freedom from one space to another, Flowing with Life throughout your day not allowing the restrictions of the 3rd dimensional mind to control you any longer. So the planet is being infused with the Angelic Essence to help each of you remember your own essence. As that is occurring, it is helping all land masses upon the planet to accept this love. But, with this higher level of vibrational essence, comes with great changes. Land masses will change, environments need to readjust to the frequency just like each of you are doing. The most important element through this process is to fully connect to your Angelic Mind/Divine Mind and not to get caught up in the debris that is happening around you. You, as the first angels that are now awakening once again, have a commitment to uphold these energies within yourself. We know that this is not an easy task for any one of you, and we totally commend you for this pathway of awakening that you have chosen. You are strong souls or else you would not be making this commitment at this time; you are ready to stand fully in your power with the deepest love that you can hold within yourselves. As the moon cycles are very important, the next phase on the 31st of July represents a very futuristic approach of what we have been sharing. It is time to fully take the opportunity of fellowship and creating new things within your lives. This energy is to bring the Feminine and Masculine Divine into more creation as the angels represents the balance of both genders. In August this alignment is going to be felt very strongly and will represent the ability to be both within your physical existence. We ask you to work with us through this process. Allow us to help you to understand your Balanced State of Emotions and Thoughts. Bring forth the Three-Fold Flame more strongly within your Heart Center. It will help ignite the Angelic Presence that you are combined with the Divine Human Essence you are learning to incorporate within your Being. It is a great time to rejoice with these energies, as it is the True Beginning of what we have all desired to occur within humanity. Each of you stand at the forefront to lay down your weapons of battle, to be the igniting frequency of light within your Being, holding your Highest Essence within you as your Solar Angels are here to help. Let us all fly together as we did in the beginning of this Earth. Creating the purest essence of sparkling light from mountaintops flowing into the oceans and around the lands of GAIA as we experience more harmonious moments of creation. This is our True Beginning Together. The work must be done in order for it to be fully grounded, but the energies through the next two months is going to assist in creating the balance within each of you. It is also a very powerful time to fly through your initiations if you listen to the signs around you. Be very cognizant of your old thoughts versus your new thoughts and allow your Divine Mind blend within your Physical Mind. As we move towards the Equinox in September, true abundance can be created on this earth. Let us work together as we are all here to assist within the Unified Whole Command, with the Brotherhood and Sisterhood of White Light, with Divine Mother and Father God. Each of us can be present in your lives if you allow it to be. We look forward to our energetic exchanges with each of you. 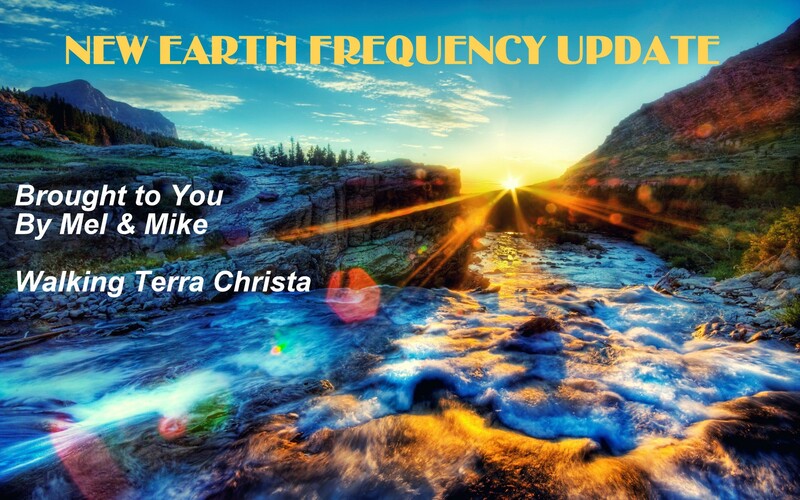 If you would like to know more about accessing your Solar Angel, Walking Terra Christa has facilitated a special program series with Lord Metatron, “Angelic Boost”. Included are teachings from Lord Metatron on the Solar Angels, journey to his Golden Temple of Illumination with activations for the Solar Angel along with infusing the first five Metatronic Seals that are associated with the first four initiations of Mastery. Please click the link above to receive how to order this powerful angelic series. This week we are being presented with opportunities of more growth with the Venus/Jupiter Transit along with the Full Moon of Capricorn in the sign of Cancer. 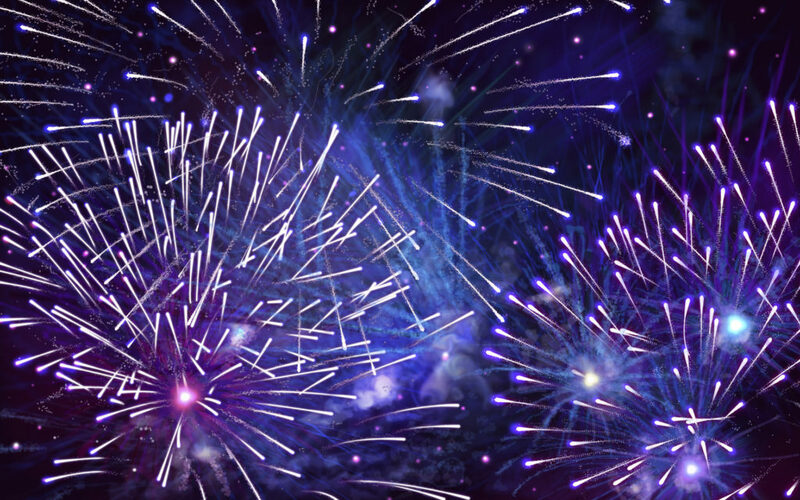 These energies are going to set the stage for our month in July with heightened elements that will assist us in creating more love-centered experiences, with expansiveness to have the greatest opportunities to achieve what we desire. Venus and Jupiter are coming in alignment on June 30, 2015. It is being reported that on the evenings of June 30th and July 1st that we will be able to see in the night sky these magnificent planets lighting up the heavens. But what does it mean for each of us individually? The energies that are coming into the planet since the Solstice are going to be giving us grand opportunities of light, love, and transforming our physical bodies to exist in these light worlds. The Solstice brought to us the energetic exchange of the Solar Angels that we are to become more physically grounded within our existence. What do angels represent to humans? The main answer to that question is Divine and Heavenly thoughts and feeling. Angels are soft, loving, and truly have our back in any kind of situation that we encounter. When we have the realizations within ourselves that We Are Those Angels, what comes to mind? I say it brings to us a gift that we have all be waiting to occur in our lives. This is the time to allow it to be by allowing the acceptance that we are angelic into our physical consciousness. This will help us to make the necessary changes within the Earth, heal our wounds of the past, and allow us to move forward with gentleness of Love that is each of us, embodied. The alignment of Venus with Jupiter is another step in the right direction towards balance, harmony, and the integration of the Masculine and Feminine Divine. Venus is the planet of Love as we all know. It brings to us softness, gentleness, compassion, and allows us to be warm-hearted within ourselves. This brings forth the ability to be expressive from the Heart Center. It represents the Feminine Divine essence. Jupiter represents the planet of Expansion and Higher Education such as temples, and schools. It is a planet of luck and gives the opportunity for elements to fall into our laps, so to speak. It give us strength, courage, and the ability to walk through any doorway that we encounter, no matter what the circumstances may be. It represents the Masculine Divine Essence. Having these two planets come into alignment with one another truly represents a grand opportunity for each of us to embody these characteristics within ourselves and our daily living. For several years there has been much talk about the balancing act of the Masculine and Feminine Divine, and how the Feminine essence needs to be embodied within every human upon the planet. We have seen great changes in many individuals upon GAIA fully taking this role within their lives as the thoughts and feelings being expressed to others is getting better. But, the main element I want to convey is the balance of each of us internally. We cannot help others in our pathway until we make the necessary changes ourselves. I believe that the energetic push we are receiving this season is helping us to do just exactly that. We are now in a position to expand our horizons and see the truth within each of us. We are Love as that is the basis of our multi-dimensional selves. We have come to this planet at this time to expand this existence within ourselves, but the main component is to understand our own heart essence and what it may mean to the outside world. We don’t always know that what we are expressing is received in a different manner than we think it feels within ourselves. The alignment that is occurring in the next 48-72 hours will assist the essence of Love and Expansion to come within each of us. It is another moment in time to allow the totality of our Soul’s Journey to be expressed within our Beings, as we connect in the higher consciousness of all realities being created right here upon the Earth. We take the energies of the Solstice, our Solar Angel assisting us to be more than we ever have been in the body. It will allow us to put into practice physically what we have learned consciously. We are the Light of this Planet and this is our perfect opportunity to allow it to enfold within our physical body. It is our moment of rejuvenation. It is a perfect time to allow our higher essence, our Solar Angel, to come fully within us to feel the Divine Love that We Are. We then expand it out around us. The Feminine receives it and the Masculine expands it. So what is it that you would like to receive? Put it out to the Universal Consciousness all that your intentions of life that you want to be accepted within your world. Do a special ceremony to see the Divine Masculine and Feminine coming together in the heavens as you experience in your physical self. Then allow the magic to happen. Let it be within you as Jupiter brings forth that ability let it happen. Be in a state of awareness of the balance of your Yin and Yang coming together to Create, Create, Create. It is an amazing time to allow this to happen. Continue to allow both of your masculine and feminine essences to guide you as one. As the lights in the sky on these dates are showing us that it is now time to Receive our Divine Compensation for all the work we have done. The work will continue but the Spiritual Hierarchy is giving us confirmation that this is one step in the process of allowing our Divinity to Be Our World upon this Earth. This prepares us to step into the Full Moon energies on the 1st of July at 7:22 PM Pacific, 10:22 PM Eastern, and GMT– 02:22 July 2nd. The aspects during this full moon represent the Sun being in Cancer with the Moon in Capricorn. The essence of Grandmother Moon takes us from the alignment of Venus/Jupiter to balance our emotional and mental bodies by accessing the unconditional love of Cancer into our public world with Capricorn. It will be time to take what we have learned through learning how to access our Divine Beingness into the outside world around us. This can be quite a challenge, if as an individual, we are still adhering to what the is expected of us by others instead of taking our truest desires and manifest them through acceptance of whom we have become. The messages that Spirit has given us through this cycle is that we become more aligned with our True Essence of the Heart but our test is to show it outside of ourselves. Otherwise, we tend to isolate our feelings and do not truly express our deepest essence that we have become through all of the energetic exchanges and powerful energies since the Solstice. It truly is a magnificent week of acceleration, but one that instills our ability to make the necessary changes by accepting who we have become. Walking Terra Christa is facilitating an Open Sacred Ceremony on Wednesday, July 1st at 4:30 PM Pacific to celebrate the Full Moon energies. This is a free call but donations are always appreciated. If you have not registered to join our monthly ceremonies, please use this link, Open Sacred Ceremony-Registration. A copy of the MP3 recording is available within 24 hours. We hope that you will join us for a powerful energetic exchange.